My name is Gary Pickering and I am a Painter and Decorator with over 13 years experience based in the Kimberley area of Nottingham. 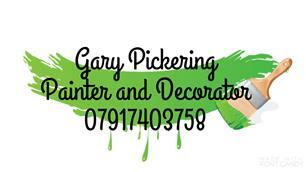 I carry out all aspects of decorating including new work, redecorating, exterior work and wallpapering. Please give me a call or a email for a free quotation with no obligation.